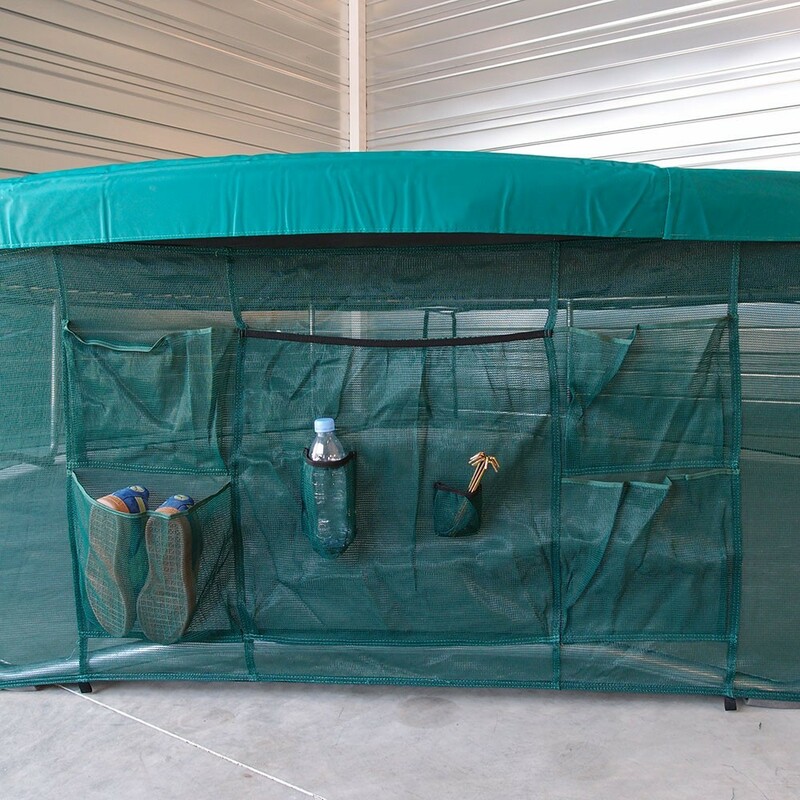 Protective skirt for your round recreational trampoline of 4.90 m with integrated storage. In order to offer more safety when using your trampoline, the protective skirt prevents anyone from going underneath the trampoline. If you have young children or pets, then this is an important component. It is not recommended to play under the trampoline, however children have a fantastic imagination when looking for places to hide and it can happen. 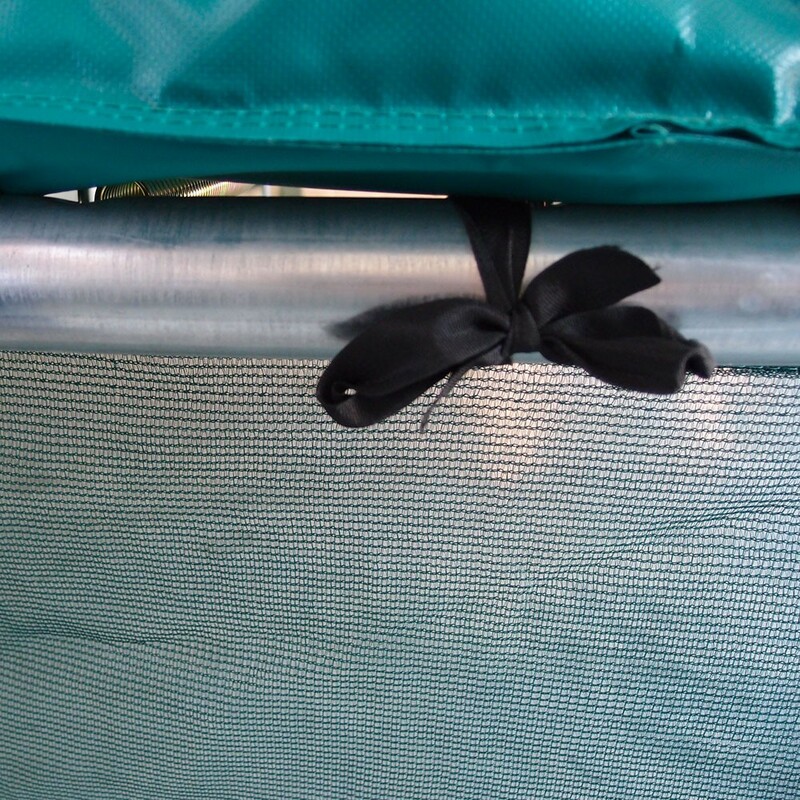 - For even more safety, the protective skirt is made from a see-through polypropylene netting, allowing you to look through it and see what is going on under the trampoline. Nothing will escape your vigilance; you and your children will be able to enjoy the trampoline safely. 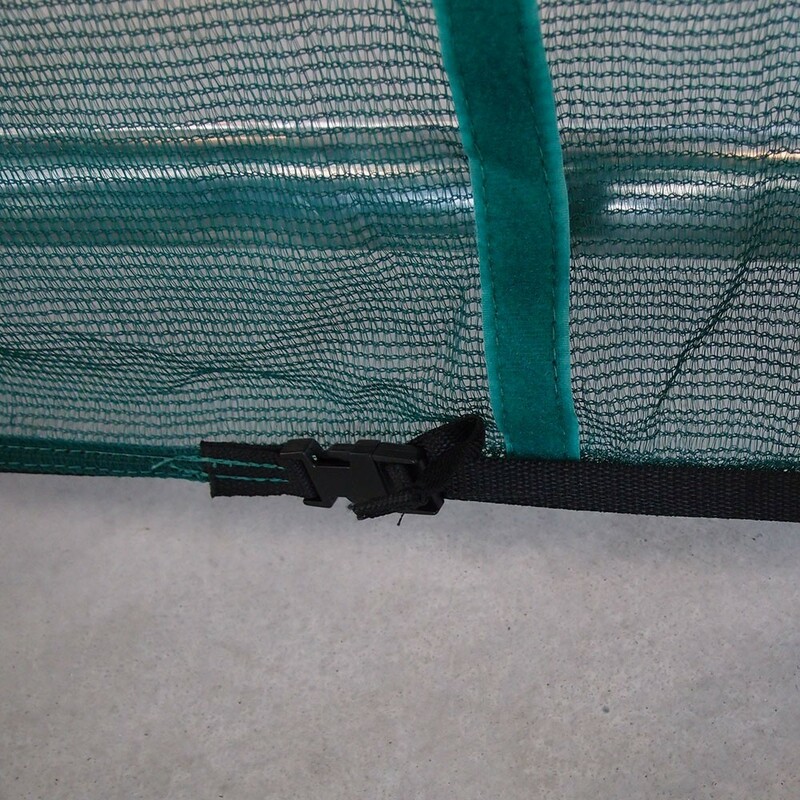 This protective skirt stops them from accessing this area and eliminates the dangers linked to being beneath the jumping pad. It can be very dangerous if someone is jumping on the trampoline, as the jumping pad can really near the ground. - This protective skirt also has a shoe bag stitched to it, made up of 5 different pockets. You will no longer lose your children’s shoes and clothes or break your telephones. You could also put a snack for your children in there, as they will be thrilled to have a break and have something to eat. - This safety skirt is very simple to install. All you need to do is attach it to the steel framework of your trampoline. Metal pegs are then used to fix it to the ground, making the whole structure more solid and stable. Once the skirt is installed, it is easy to add an enclosure if you wish to. This France Trampoline accessory is adapted to round trampolines of 4.90 m in diameter.